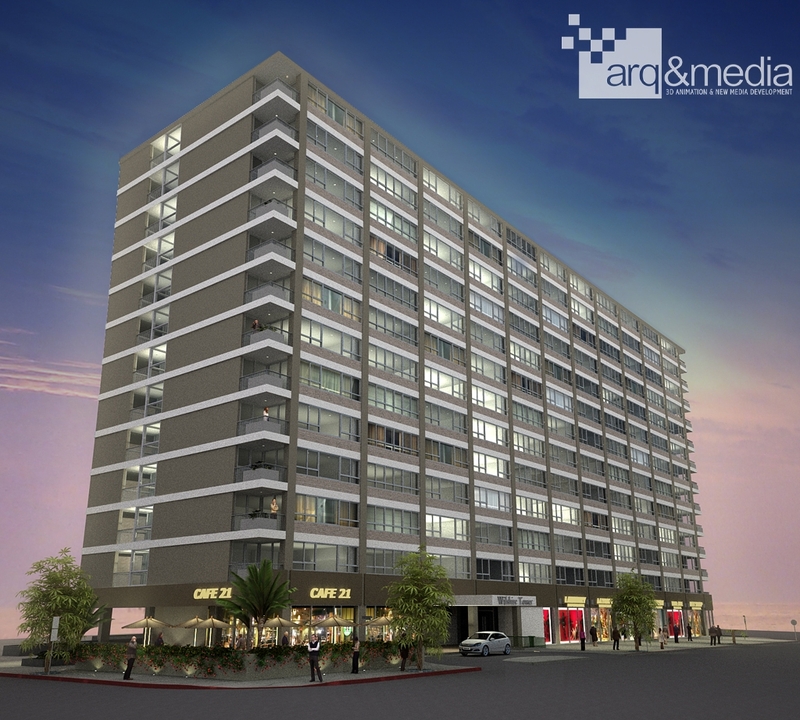 Complete condominium conversion and rehabilitation of 168 multifamily units, 5,000 sq. ft. of ground floor retail space, and ample lobby/outdoor amenities in a 13-story building located in the center of Koreatown. On behalf of a Chicago investment fund, Urban One lead the development and construction management of this large multi-million dollar mixed use project located adjacent to multiple transit lines and extensive neighborhood amenities. The renovated property was sold to CIM Group, who now owns the property. General Contractor Pankow Special Projects, L.P.
Chicago investment fund, Federal Street L.A., LLC was seeking a local project management firm to oversee the development and construction of the renovation. There were some aggressive assumptions made back when the property was purchased in 2006, in the “heyday” of development. Now, three years later, they had to renovate the project when the market is at its bottom and hope to just stay above water on their investment. Couple this with the fact that there were significant omissions (approximately 35% in hard costs) in their original pro forma. Additionally, in order to keep steady cash flow off rental income, approximately 60% of the existing tenants where still living in the building at commencement of construction. When most project managers would steer clear from entering into this type of situation due to the fact that it would be an uphill battle working on a project that was already well over its original budget and a logistical nightmare to sequence and schedule construction around such a high occupancy rate, Urban One invited the challenge. Urban One took full control of the project, acting as Federal Street’s direct representative, taking over their budget development, approvals, permits, DRE filings, pay requisitions, job cost accounting, cash flow analysis, scheduling, bidding, trade buyout, contract negotiations, design development, consultant management, public authorities management, value engineering, LEED analysis, document control, submittal/RFI/SK review, field quality control, change order review, inspections & certifications, lien releases, punchlist, and HO/HOA warranty/O&M manual compilation. Urban One devised a plan for construction that was cognizant of the existing tenants’ personal space and structured the hierarchy of contractors in a way that would lower the budget. By splitting the scope of work up and giving it to multiple prime contractors, contracting with several specialty contractors directly, and purchasing the majority of the material themselves, Urban One was able to save the client over $1 million off their already-inflated budget. Urban One has also sequenced the work in such a way that the high visibility areas of the project (i.e. – new windows, painting of exterior façade, elevator modernization, pool remodel, landscape/hardscape improvements, and buildout of common areas, such as the lobby and corridors) are completed first in order to boost future sales. The benefits of Urban One’s strategic position were realized as the project progressed to completion. Check out progress photos of The View Wilshire Tower on Urban One’s Flickr page.